When you’ve had ten days of steamy temperatures, and you finally get a cold rainy day, it is time for a comforting meal. Have I ever mentioned to you that I choose to live in Iowa? I happen to love this state. It is an amazing place to raise a family, it’s affordable, and the people are the truly the friendliest in the world. 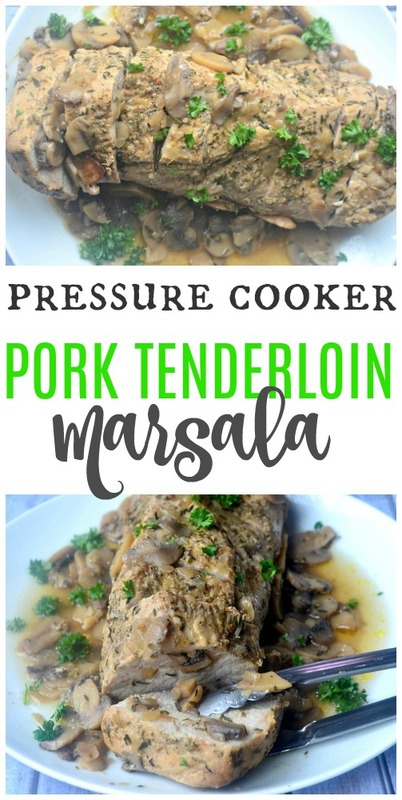 This pressure cooker pork loin marsala embodies many things that I love. 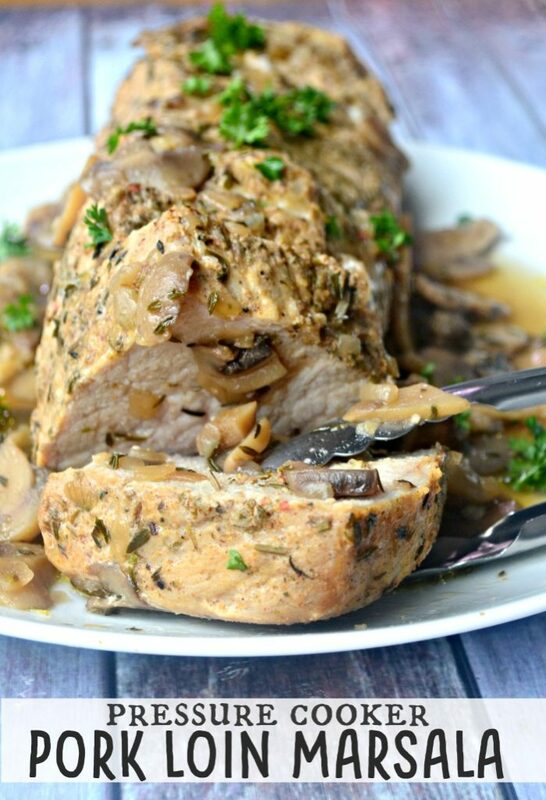 It has the flavors of one of my favorite Italian dishes but is made with a flavorful, juicy pork loin. 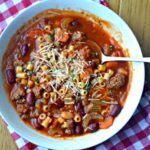 This recipe is a remarkably comforting way of warming up and this dish takes less than 30 minutes to make. Plus, I have a newfound love for pressure cookers. Cooking pork in my pressure cooker made for some exceptionally flavorful pork! 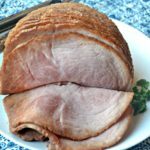 Back in 2015, I did a blogging tour with the Iowa Pork Producers, and there I really learned the proper way to prepare pork. It makes all the difference in the world! Pork now only needs to be cooked to the temperature of 145, and when it is not overcooked or dried out, it tastes fantastic! 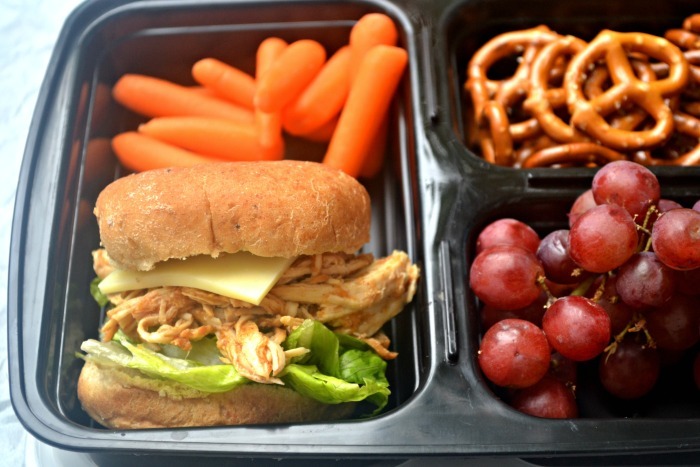 I love my Instant Pot , it makes the best entrees in a sinch! 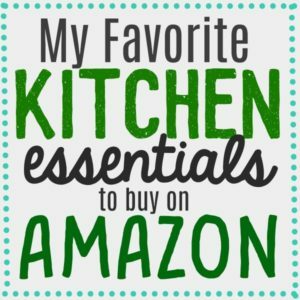 Check out my collection of Instant Pot Recipes! 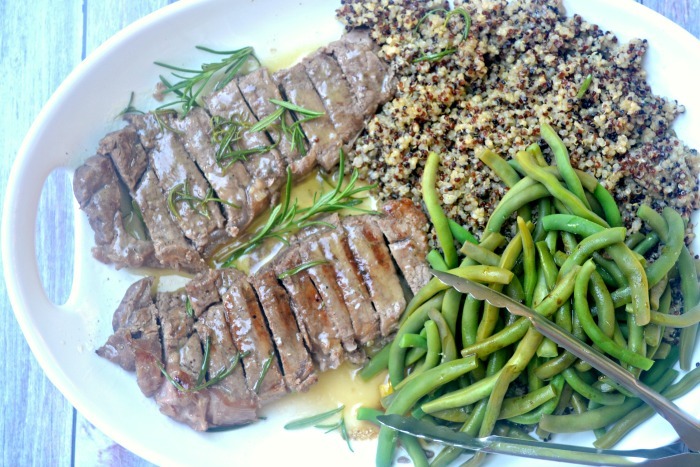 I just simply added a few ingredients to this Fresh Pork Lon in order to make this delightful meal. 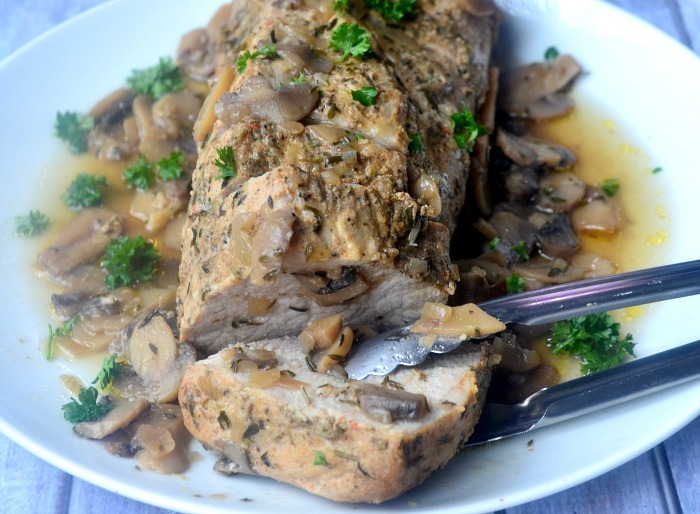 I picked up a Fresh Pork loin at this past weekend, along with some frozen mushrooms, which I also used in this dish. 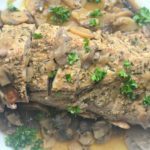 I used marsala cooking wine in this recipe. Marsala cooking wine is not found in the wine aisle. You will find it next to all the vinegar and olive oil. There actually isn’t alcohol in it. 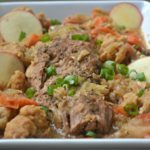 When you are done cooking this recipe, you will have a lot of juice leftover that you can drizzle on top on your pork loin for extra flavor. Make Marsala wine sauce. Add olive oil, garlic, Italian seasoning, shallots, and mushrooms the pressure cooker and saute until the mixture turns into a sauce. 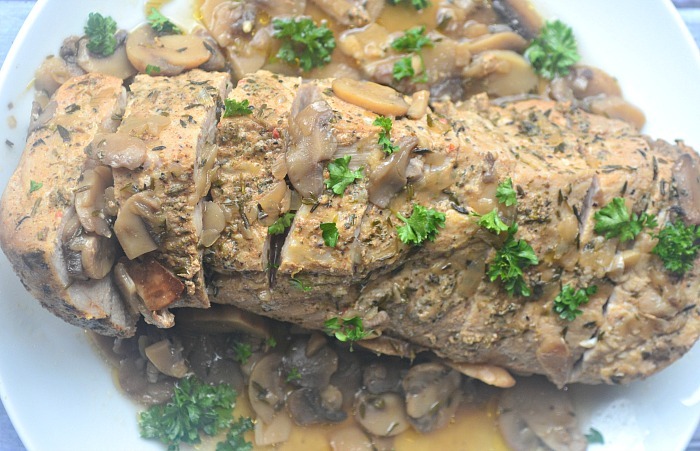 Add Pork Loin roast to your pressure cooker and seer ever so slightly on each side. Add water to your pressure cooker and seal the lid. Make sure that the temp of the pork is at least 145 degrees. 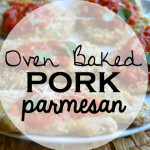 Remove the Pork from the pressure cooker, place on a serving plate and drizzle the sauce on top. Cut into slices and serve. This was a totally delicious dinner! I usually have leftovers when I make a pork loin roast. But not from this! 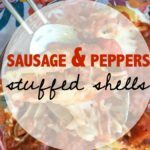 This was a fun way to switch up one of my favorite Italian dishes.